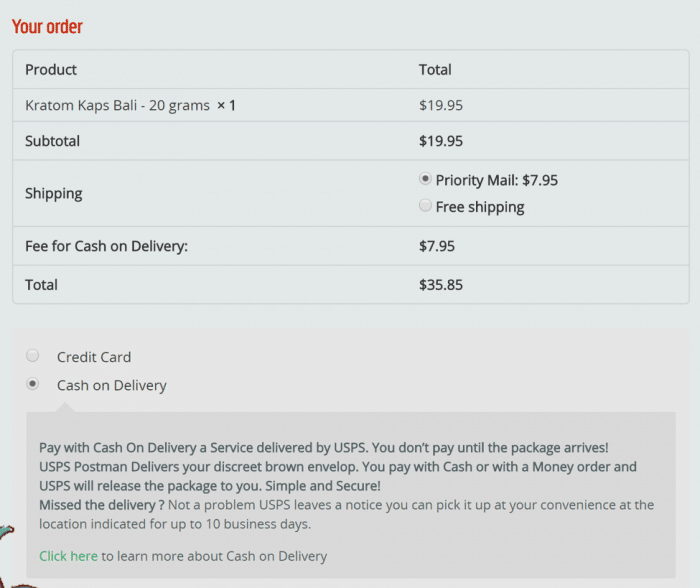 Cash on Delivery is a service provided by USPS to ensure that you only pay once you receive exactly what you ordered. To order using Cash on Delivery, simply select the option under “Total” when checking out. Once you have finished placing your order, you will receive an email from SalviaExtract asking you to confirm your order. If you do not receive this email, check the spam folder of your email. If you still cannot locate this email, please contact us and we will confirm your order. If you placed this order by accident, simply follow the same steps but answer the email with “No,” and the order will be cancelled. There is no need to worry if you are not home when your package arrives, as USPS will leave you a delievry attempt notice. You will then have 10 days to pick up your package at the Post Office listed on the notice.